This Week In DOCTOR WHO History: Sept 11th to Sept 17th | Warped Factor - Words in the Key of Geek. Yeah baby!!! 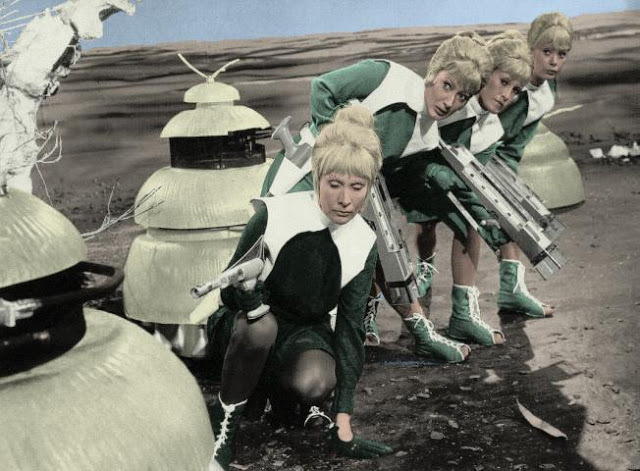 It's time for another groovy week in Doctor Who history. ...Nope, that never happened! Anyway, the episode was watched by 9 million viewers who had been missing the good Doctor since season two finished - just six weeks previous!!!! 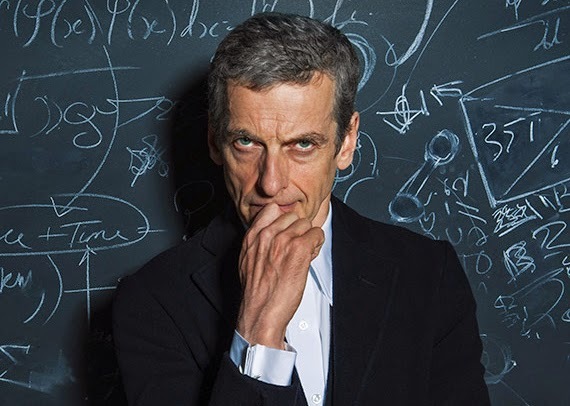 Really, someone needs to tell Peter Capaldi how good he has it. ...We'll get to him shortly, but first we have two from Tom. Starting with part three of Terror of the Zygons which arrived on our screens on this day in 1975 to a welcoming audience of 8.2 million viewers. Then it's part three of The Leisure Hive, which was broadcast in 1980 to a slightly less welcoming 5 million viewers. Two regenerations later and we have the second part of The Trial Of A Time Lord. The individual story was titled The Mysterious Planet and it was broadcast in 1986 at 4:46pm, which is just waaay too early in the day! Even The Sarah Jane Adventures went out later than that! So 4.9 million viewers is not a bad figure really. Two Scottish Doctors complete our day. First up it's back to 1989 and part two of Battlefield, which was part of Season 26 of Doctor Who, a year that was broadcast against Coronation Street and became one of the best kept secrets on British television - as in nobody seemed to know it was actually on! Well nobody apart from the 3.9 million viewers. And wrapping up this day it's the Twelfth Doctor and one of the stand-out episodes from Series 8, Listen, which was broadcast in 2014 and watched by 7.01 million viewers. 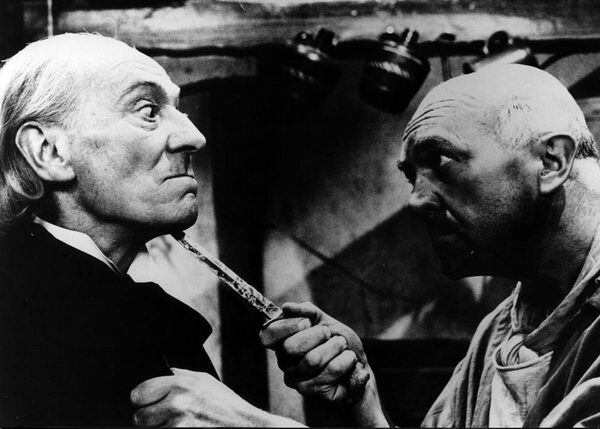 Interesting choice of camera work (also known as "something for the dads") on this day in 1969 as part 1 of The Mind Robber graced our screens at 5:17pm and was watched by 6.6 million viewers. Then 18 years later we have part 2 of the Seventh Doctor's debut adventure Time and the Rani, which drew an audience of 4.2 million viewers. Back in 1979 an enormous 13.8 million people were treated to the Fourth Doctor and episode three of Destiny of the Daleks! 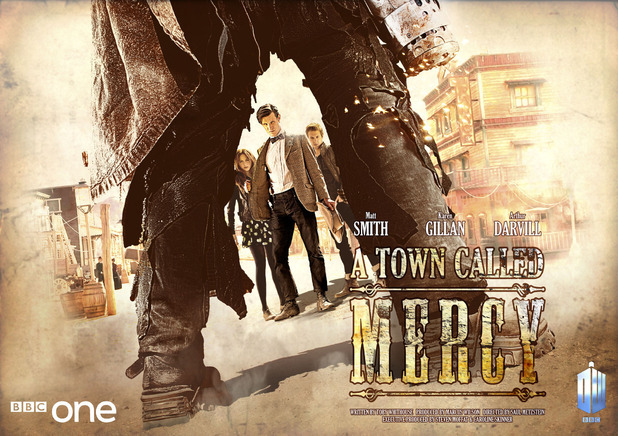 Then, in 2012, it's off to the Wild West for the Eleventh Doctor, and he's bought 8.42 million of Britain's finest with him to A Town Called Mercy. 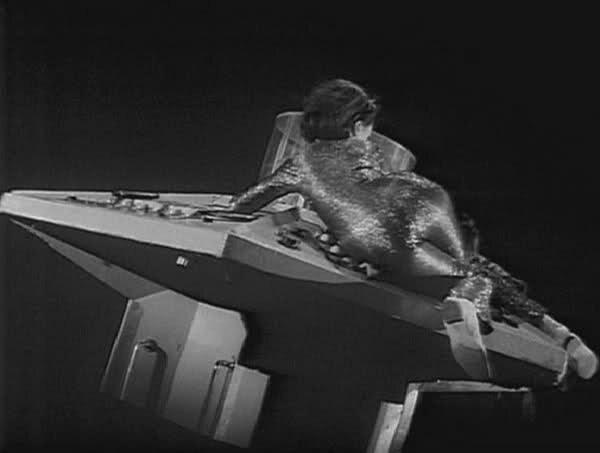 Episode 3 of The Tomb of the Cybermen was broadcast on this day in 1967, and watched by 7.2 million viewers. Two regenerations later and Mary Tamm is preparing to audition for the role of Jadis in the BBC's 1978 production of The Lion, the Witch and the Wardrobe! First though she's got to finish part 3 of The Ribos Operation for the 7.9 million viewers tuning in. 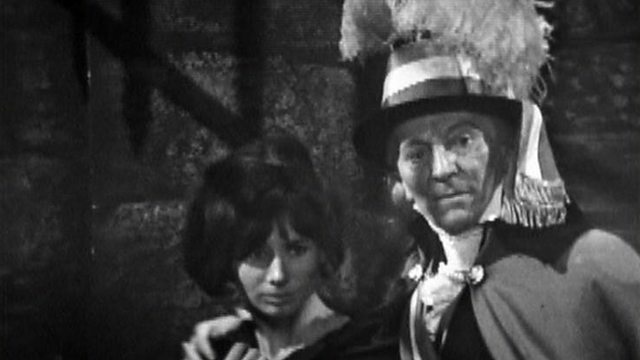 Back in 1966 episode 2 of the First Doctor pure historical adventure The Smugglers was watched by 4.9 million viewers. Then in 1977, the Fourth Doctor continued to put up mighty impressive numbers, with 9.8 million viewers tuning in to part 3 of Horror of Fang Rock. And finally for this week in Doctor Who history we go back to 2011 and join the 6.77 million viewers sat watching the Eleventh Doctor in The God Complex.